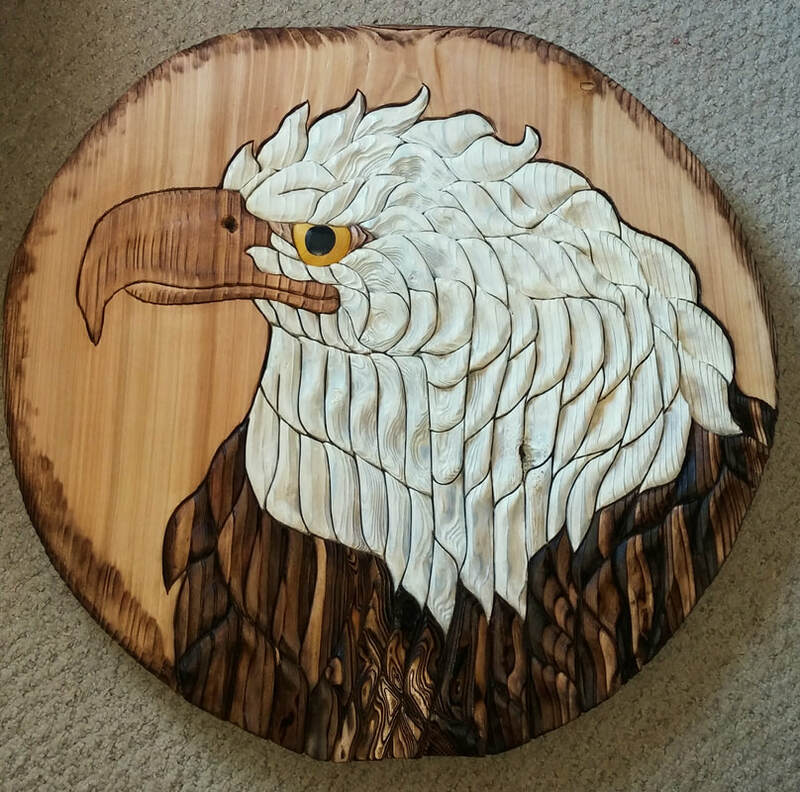 Creston Spring Home and Arts Show, Creston Rec Center, April 27, 28/ 2019 RAFFLE, new pieces, carving and painting demos. Cranbrook Arts Council Gallery - ongoing, part of a multi artist show. 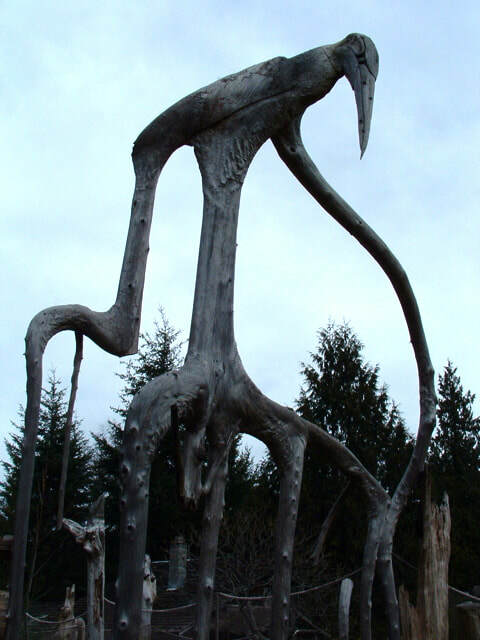 "HERON GATE" is 11' wide, 21' tall, and 2 feet from the 'legs' being in a straight line. 2 pieces. Available, more details in our Store. 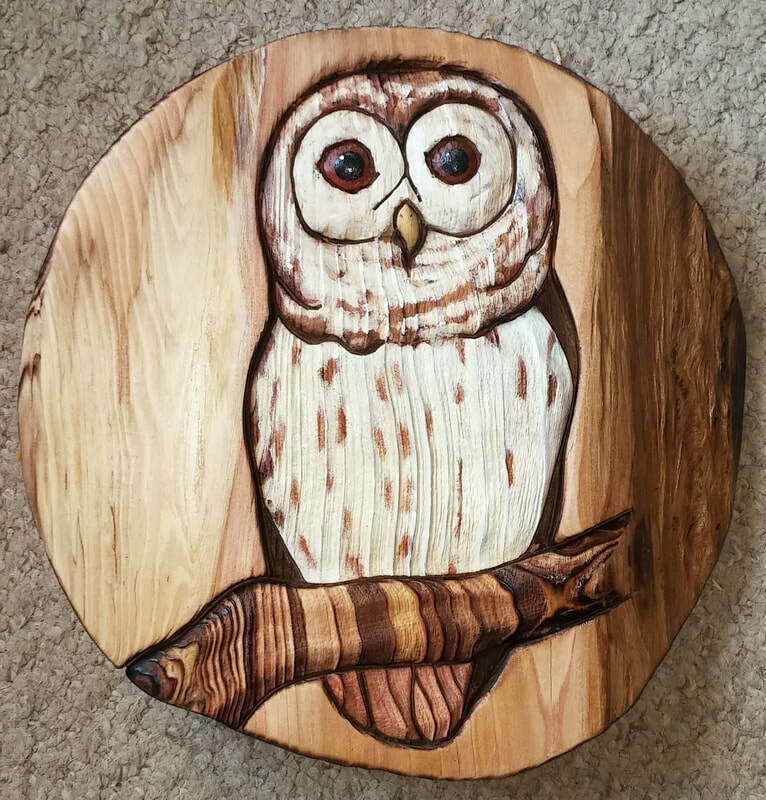 all artwork in our STORE, as we raise $$ for our house deposit. ​email and phone chances, too! 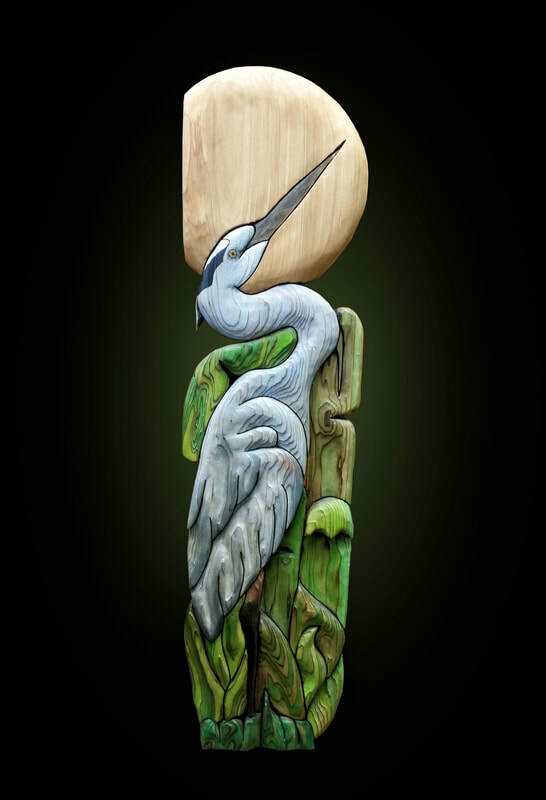 "BLUE HERON in GRASS" 13" X 38" Donated to a local fundraiser. 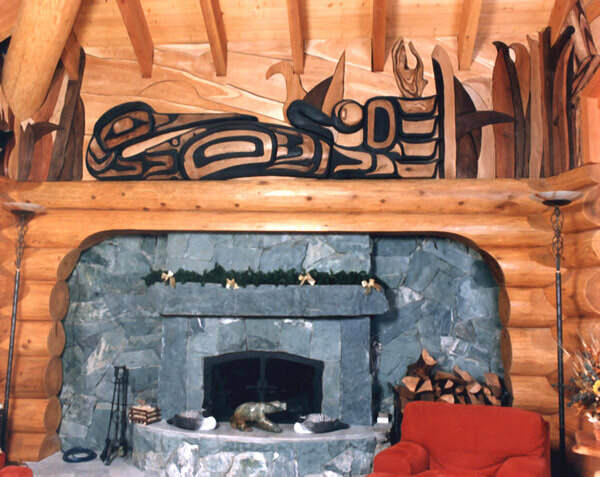 "TSIMSHIAN LOON" indoor mural, 23' x 5', Private home, Whistler, BC. Part of 1200 sq ft of indoor and outdoor murals, taking 2 1/2 years. "Echo Valley Ranch Resort" Logo Sign. 9' x 6'. Part of a year's project. 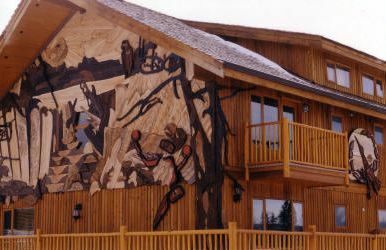 "LOOKOUT LODGE" Mural 650 sq ft. for Echo Valley Guest Ranch, Clinton, BC. 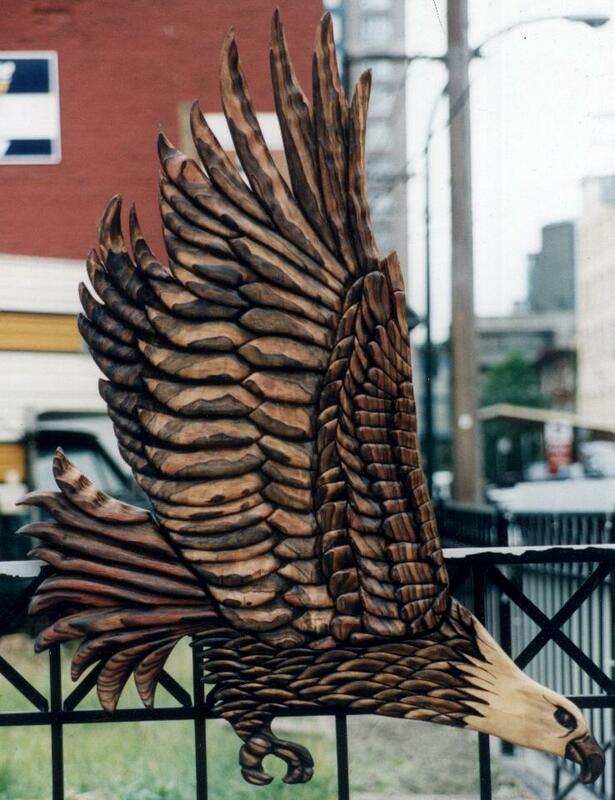 Part of a 3 Mural, 1 Totem Pole project, taking 1 year. 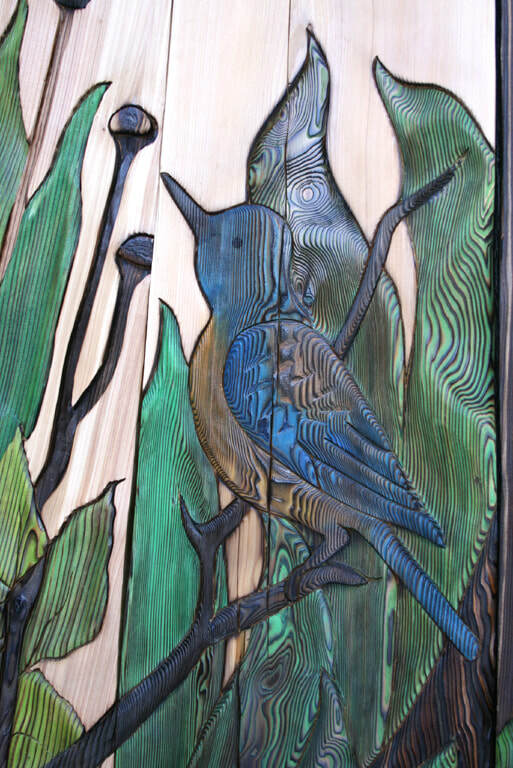 "BLUEBIRD" is part of an exterior mural group, Commission, Private home, Deka Lake, BC. 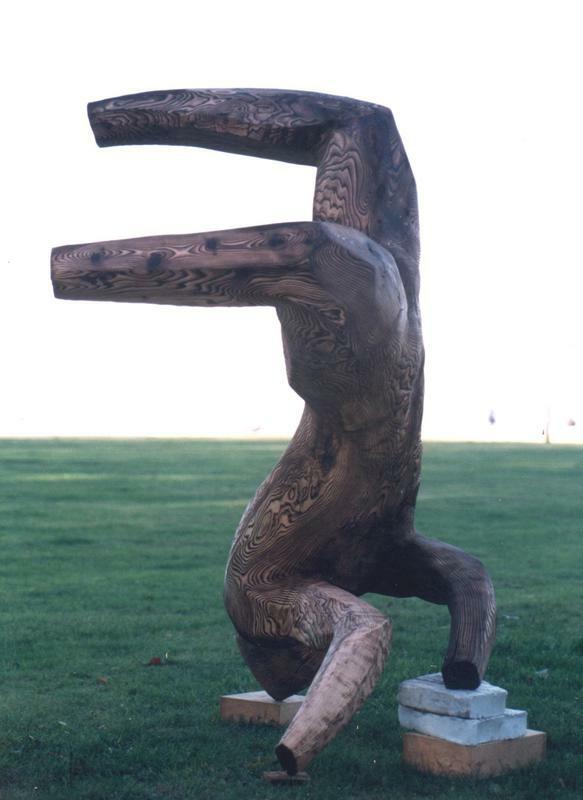 "ROSS" - Man Sculpture, single piece of twisted red cedar. 6' tall.